Buying a home can be daunting, particularly for a first-timer. This article is intended to give you some important tips and information about some aspects of buying your first home in NSW. It is not intended to cover everything and so you should seek advice before you proceed with your purchase. Most commonly, the title to your new home will be Torrens Title. This is a system whereby ownership and any other interests in the property are recorded on the Certificate of Title. A recording on the Certificate of Title confirms your rights and interests in the property. A mortgage by your lender will be recorded on the Certificate of Title as a charge or encumbrance until such time as the mortgage is discharged. Strata title gives you ownership of a unit, villa or townhouse of a larger building, which you may sell, lease or transfer at your discretion. Of the entire building, individuals each own a small portion (such as a unit or townhouse) but where there is common property (external walls, windows, driveways, foyers, lawns and gardens) all owners share and are responsible for the common property. Strata levies are payable for the maintenance of common property and administration of the owners corporation. Your rights and entitlements in respect of the property may be limited or restricted by the by-laws or governing rules of the strata complex. Not unlike strata title, community title is a form of subdivision, where owners receive a Torrens Title for the lot they own however, are members of a body corporate and share and are responsible for common facilities. Community title levies are payable for the maintenance of common facilities and administration of the body corporate. Your rights and entitlements in respect of the property may be limited or restricted by the by-laws or governing rules of the community. Company title is more common in older more established suburbs such as inner-city Sydney. This title applies when unit owners are actually shareholders in a private company that owns the property. A purchase is conveyed by the transfer of shares in the company and as a shareholder, you are entitled to the exclusive occupation of a particular unit equivalent to your shareholding. In some instances, company title may limit your use of the property where for example, any leasing or rent for leasing is determined by the company or future sale where the transfer of your shareholding must be pre-approved by the company. Company levies are also payable in respect of common property and the functioning of the company. Typically, most of us and particularly first home buyers, require the assistance of a lender to fund the purchase of your new home. Shop around for a lender and mortgage that best suits your appetite for commitment and financial circumstances. You can do this on your own or engage the services of a mortgage broker. Before entering the market for your new home, consider obtaining pre-approval. Pre-approval is where a lender gives a commitment to make you a loan. The benefit of pre-approval is that it gives you an idea of your borrowing capacity and starts the process of obtaining a loan which can take some time depending on your financial history and circumstances. You don’t have to get a loan from a lender that offers you pre-approval. However, be aware, pre-approval is NOT final approval! A lender will confirm the security value of the property before preparing their loan documentation and agreement to loan. Be mindful that fees and charges and possibly lenders mortgage insurance apply on the establishment of a loan. Whilst such fees don’t reduce the size of your mortgage they do effect the total monies available for purchase. Legislation requires fee disclosure however, be sure you understand the nature of the fees, charges and any insurance that may apply, upfront. House hunting may be fun, exciting, stressful, daunting or a combination of mixed feelings. Most of us take the opportunity to inspect the house we intend to purchase. This may be by appointment or attendance at an open for inspection. On inspection, think about the property that is for sale – what are the inclusions and what is excluded, what neighbours the property and consider its immediate environment – is there a bus stop in your front yard? Is the house on bush fire prone land? Have there been recent renovations to the property? Consider how the house is intended to be sold that is, by private treaty or public auction. Often there are different preparations that need to be made when you attempt to buy at auction. In NSW, before a house goes on the market, a Contract for the Sale of Land is prepared in respect of the property. This is a standard form contract however is often accompanied by qualifying special or further provisions and required disclosure documents particular to the property. A copy of the Contract will often be available at inspection or arrangements can be made with the relevant agent to make a copy available to you. 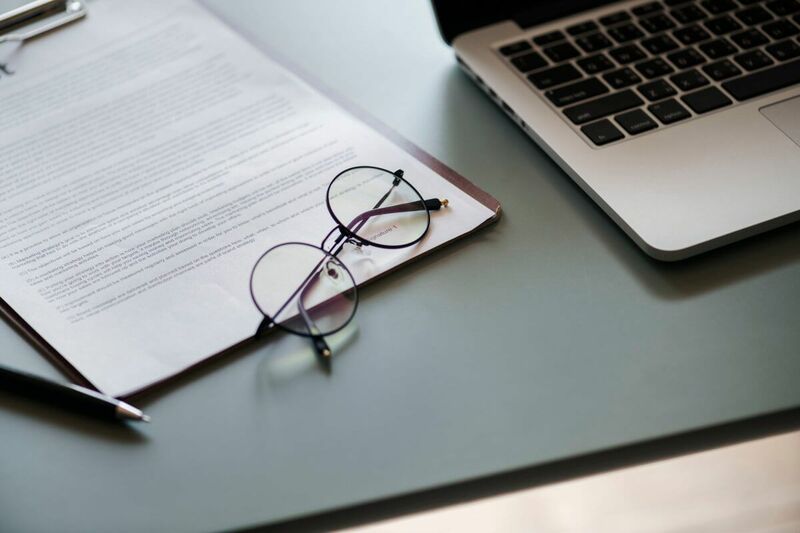 If you have a genuine interest in the property and are prepared to make an offer, consider obtaining a copy of the Contract for Sale so that you can obtain advice. The manner in which price negotiations take place vary and can be subject to the seller’s instructions, the nature of the property for sale or the agent’s own practices. If you are uncomfortable about approaching the price negotiation process you may consider appointing a buyer’s agent to act on your behalf. Once you have selected a property that you are interested in buying, the seller may ask you to pay an initial deposit. This does not mean that the property will be held for you or that it gets taken off the market. It is more like a goodwill gesture, indicating to the seller that you are serious about the prospective purchase and may mean that the seller or agent will be less likely to show the property to anyone else. The seller is able to take initial deposits from other prospective purchasers as well but must refund your deposit if they choose not to sell the property to you. Until you exchange contracts, there is no legal obligation on the seller to sell to you. Up until the exchange of contracts, both you and the seller are entitled to change your mind without any legal consequences. The Contract sets out the terms and conditions of sale. Exchange refers to the time at which the parties to the Contract each sign the Contract and hand their signed copy to the other party. On the date the Contracts are exchanged, you will have to pay a 10% deposit (subject to a negotiated deposit amount – for instance, 5%) which is usually handed over to the seller’s agent or acting solicitor to be held in trust or invested on behalf of the parties, pending settlement. Because the purchase of a home is such a significant investment, there is a period of time after exchange of contracts where you can still change your mind and exercise your right to rescind the Contract. In NSW, the cooling off period runs for 5 business days after the day on which the Contract was made. If you do exercise your cooling-off rights 0.25% of the purchase price is forfeited to the seller and the balance of any deposit paid is refundable. There are some circumstances in which the cooling off period does not apply and you should discuss this further when you seek advice on the Contract. Where it does apply, the cooling off period is an appropriate time to stop and reflect on your choice. There is a period, usually 42 days, between exchange and settlement – the settlement period. During the settlement period various matters are attended to you by your solicitor and lender acting on your behalf. Prior to exchange, the settlement period can by agreement, be extended or shortened. Ensure to confirm that your lender is in a position to finance in relation to any shorter settlement period BEFORE agreeing to a shorter period. During the settlement period you should attend to confirmation and execution of relevant loan documentation including any First Home Buyer incentives, finance any stamp duty payable and arrange appropriate insurance on the property in anticipation of settlement. The $7,000 FHOG which is currently capped at $835,000, ends on 30 September 2012 and will not be available where the Contract is dated on or after 1 October 2012. First home owners who purchase or build a new home where the Contract is dated on or after 1 October 2012, will be eligible for the $15,000 grant. The grant will reduce to $10,000 on 1 January 2014. A new home is a home that has not been previously occupied or sold as a place of residence, and includes a home that is a substantially renovated home and a home built to replace demolished premises. It includes off the plan purchases and house and land packages. There is certain eligibility criteria that must be met and the scheme is capped to $650,000 from 1 October 2012. The First Home—New Home scheme provides exemptions or concessions on transfer duty for people who are buying their first home in NSW. This includes buying vacant land on which you intend to build your first home. The First Home—New Home scheme provides exemptions on transfer duty on new homes valued up to $500,000 ($550,000 from 1 July 2012) and concessions on transfer duty for new homes valued between $500,000 ($550,000 from 1 July 2012) and $600,000 ($650,000 from 1 July 2012). No duty on vacant land valued up to $300,000 ($350,000 from 1 July 2012) and concessional duty for vacant land valued between $300,000 ($350,000 from 1 July 2012) and $450,000 applies to vacant blocks of residential land. These exemptions or concessions DO NOT apply to the purchase of an existing dwelling. Further details about First Home Buyer Incentives can be obtained via the link to OSR. For more information about this article or if JV Legal can assist you with your purchase, please contact us on 8860 9477. Learn how to create you free Will using our sample.